Precision 3-flute cap screw Kounterbore. 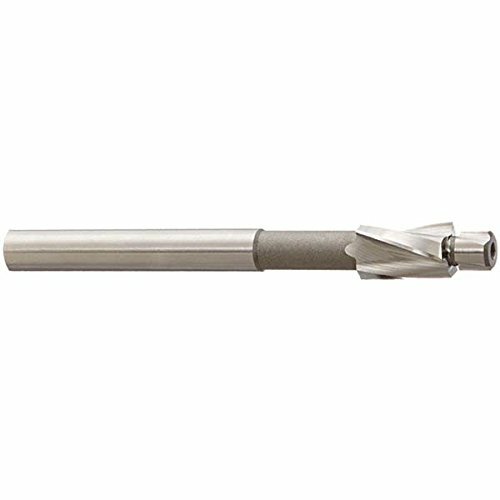 Integral pilot, straight shank, CNC precision ground. Cobalt HSS. Micro-smooth CNC precision ground for precision smooth counterboring. M35 Cobalt: HSS, 6 percent Tungsten, 5 percent Moly, 5 percent Cobalt - long tool life in all types of materials. High performance cutting action due to secondary relief behind cutting edge margin. Optimized helix for chip evacuation - chips flow away from cut without wrapping around tool. +1/32 O/S application. Assembly criteria - 1/32" Clearance. Cobalt steel tools are similar to high-speed steel, but with more cobalt for improved performance when cutting harder metals such as stainless steel or nickel alloys. Uncoated tools feature just the base substrate without any additional treatment or coatings and are suitable for a wide range of applications. Round shanks allow use with a wide variety of toolholding systems. When run in a counterclockwise direction (right-hand cut) spiral fluted tools evacuate chips up and out of the cut to reduce clogging. 3 flutes.